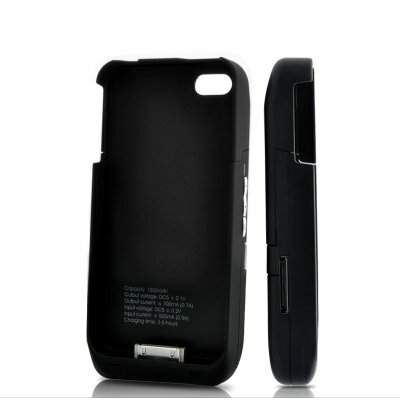 Successfully Added Protective Case with External Battery and Speaker Amplifier for iPhone 4/4s to your Shopping Cart. Protective Case with External Battery and Speaker Amplifier for iPhone 4/4s - Give that shiny smartphone the power boost it needs to make it through the day. Also includes a built-in speaker amplifier so your iPhone’s sub-par speaker actually sounds as good as it looks. Finally, there is a way for your your iPhone 4s to sound the way it is suppose to sound. Whether its games, music, GPS or video playback, the 10W Speaker Amplifier on this case will offer audio in a louder, richer, and fuller sound quality. Instant boombox iPhone 4s, anyone? Pleasing to the touch, this lightweight and durable Protective Case allows optimal access to all sensors, ports, and controls on your iPhone 4s. Installing it is as easy as plug and play; simply open up the case, slide the iPhone 4s inside and connect it to the dock connector. Next step? Go play with your phones extended power, because you're good to go! 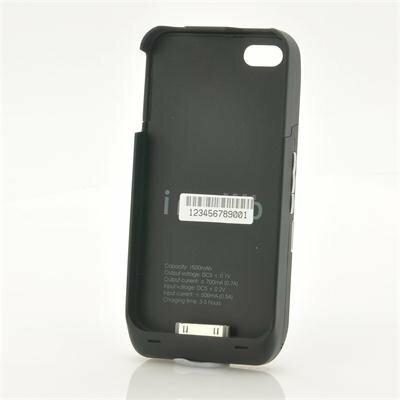 Get the most out of your iPhone 4s with this Protective Case's High Capacity External Battery. At 1500 mAh, that's almost double the usage time for talking, texting, gaming, FaceTime™, browsing and even standby. Why? Well frankly, what's the point of a smartphone if you're afraid of using it due to battery life? Combining elegant design with usability, this External Battery Case with Speaker Amplifier is one unique iPhone 4s accessory that can't be missed. Available at a factory-direct price, get the most out of your phone without breaking the bank. Brought to you by the leader in wholesale electronics, Chinavasion. No setup - just slip in your iPhone 4s and you're good to go! "Apple" and "iPhone" are trademarks of Apple Inc., registered in the U.S. and other countries. This is not claimed to be an authorized or branded product by Apple Inc. The product and our company are not affiliated with Apple Inc. or endorsed by them in any way. Please note, the volume up and down buttons on the case are for decoration only. To adjust the volume, please use the buttons directly on your iPhone 4s. This was my first time ordering from ChinaVasion and not only was the product professionally wrapped and shipped, the item itself was exactly as described. I am amazed at the quality and loudness of the 10W speaker amplification. I was playing music on the iPhone with this case in my living room and was still able to hear it crystal clear in my bedroom. The fact that it also acts as a spare battery on-the-go is a great bonus. I also like the rugged feel of the case making the iPhone feel more secure while I am holding it and playing my movies & music.